Sea, Sand & Sky: My first festival- the Boston Seafood Festival! This Sunday was the first festival I have ever been to. 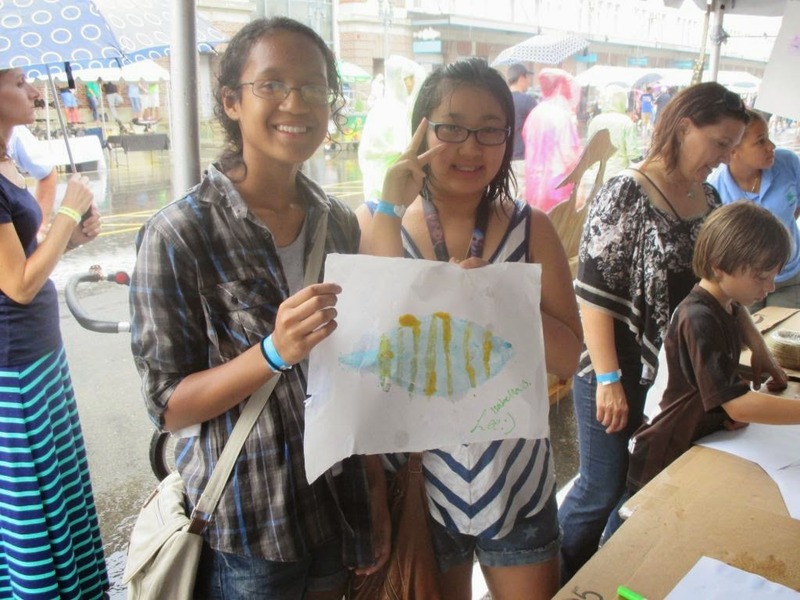 The Seafood Festival 2014 was awsome, besides the weather of course. I was suprised because that same day, even though it was raining so hard and thunderstorming many people still stayed and attended the event. They all look like they were having a blast and so was I. There were people dressed as pirates, lobsters, crabs, and even a mermaid! There was great food, and the lines were crazy long. 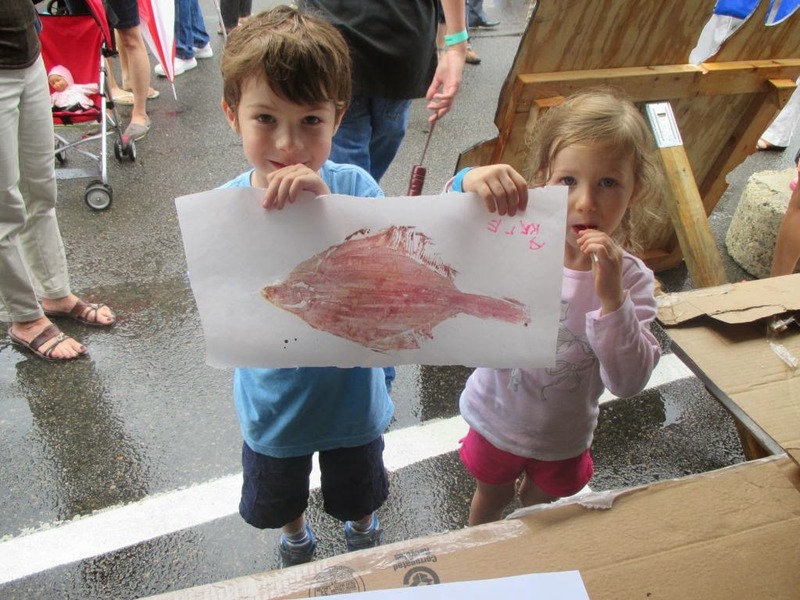 The first kids to showed up, and try fish painting. I remebered many people were attracted to our table because it was something different and intresting. 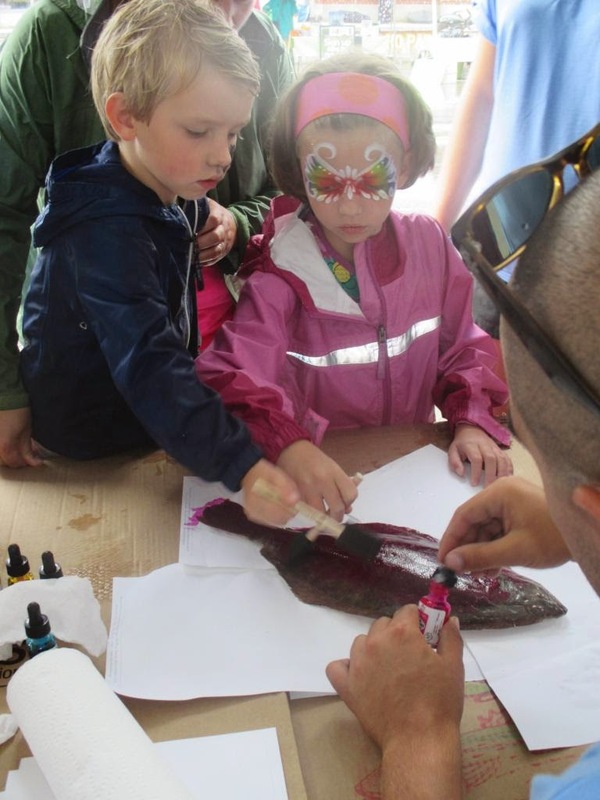 We were doing fish painting and many people had never heard of it or knew what it was, including me. I remebered many random people walking by and asking, "is that a real fish?!" and were shocked that it really was. But after Sam taught all of us how to do it, it was really fun to do. I not only had fun that day, but also learned something new. 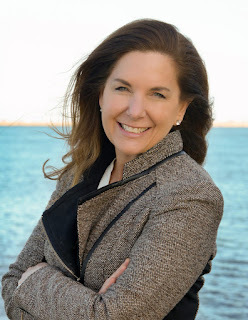 I'm sure I will be learning many more new things this summer with Save the Harbor.